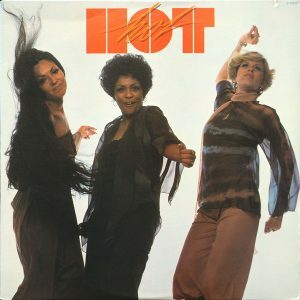 HOT is an American vocal trio that gained success through their mega hit “Angel in your Arms” in 1977. 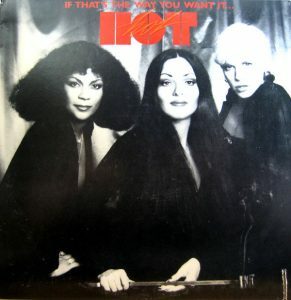 Producer Terry blames the success of the song for the fact that in the late ’70s there were few songs that women could identify with. At that time, the trio was something out of the ordinary, the group was multicultural. On the one hand there was the African-American lead singer Gwen Owens, the Spaniard Juanita Curiel (later a very successful songwriter) and Kansas native Cathy Carson. 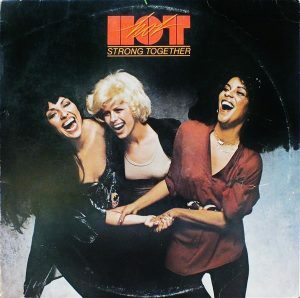 All three albums the group released between 1977 and 1980 are still characterized by a very good production and great arrangements. Especially the first album from the year 1977 does not have to hide behind the hit single “Angel in your Arms”. But back to the beginning. The surviving members of the group, Gwen and Juanita, were happy to be available for interviews. Furthermore, we were able to locate their producer Terry Woodford. What surprises we were about to see were quit shacking. Because as the title promises, we were able to bring undiscovered treasures to light. Juanita lives in Las Vegas, where she practices as hypnosis therapist. Her beginnings as a singer started long before HOT. In the interview, Juanita tells me that the timing for the interview could not have been better. HOT and Cathy’s former band member Ray Stein are recording a new version of “Angel in your Arms” and Gwen and her will be recording the backing vocals. Juanita still writes songs, in August or September she goes to the studio to record them. “I always had two loves in my life, one was music, the other was mental health. During my time with HOT, I trained as a hypnosis therapist. I practice this profession with greatenthusiasm. ” She is always surprised that many young people are interested in the music of the 70s. “I sang in high school in a choir when I graduated, my then best friend had an uncle who lived in Las Vegas and asked me if I would like to go there with her over the summer. We would look for jobs and have a good time. My mom said that’s okay, since I’m old enough so we drove to Vegas. The Vegas of the 60s is not comparable to today’s Vegas. Downtown was very popular and auditions were held for dancers. In the 60s you could drive through downtown, today you can only walk. At that time everything was designed for the “Young Generation”. The twist was THE song. I participated in an audition for dancers and got the job. We had four appearances every night. A short time later I heard from an audition for Wayne Newton, he had two backing vocalists, one got out and now he was looking for a replacement. I got the job. At that time he was a big star in Las Vegas. At the same time, I also started writing songs in collaboration with the band’s guitarist. The bands in Las Vegas at that time were almost huge orchestras. We always had two shows a day, a dinner show and a midnight show. 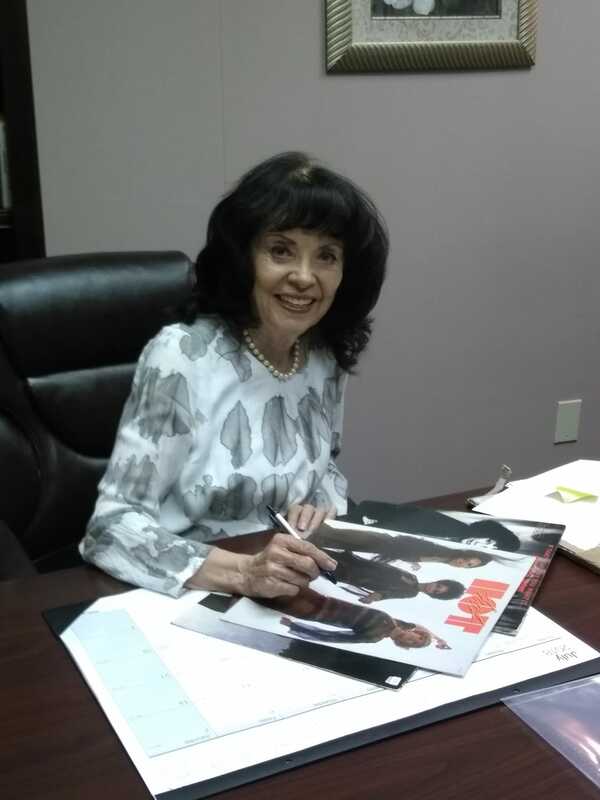 Wayne was friends with Elvis and a member of my background group was Melanie Westmoreland, her sister is Kathy Westmoreland, who sang backing vocals for Elvis. This allowed us to see his shows and go to his parties, that must have been in the mid-70s. It was a great experience to work with Wayne, the time itself was great with all the stars performing in Vegas. One song I recorded with Gene the guitarist was Christmas in the USA, which Wayne recorded for one of his Christmas albums. That spurred me on and I wanted to do more, but I also knew that this was limited in Vegas. So I left Wayne and went to LA to get a foothold there as a songwriter. In LA, I participated in two auditions, one for Steve Wonder and the other for my group HOT, which was then called Sugar and Spice. People told me you need at least 5 years to make a name for you in LA. It took me two weeks. I did not get the job as background singer for Stevie Wonder. But the second audition took place in a law firm on Ventura Blvd California. So I came to this office and the lawyer was also the manager of the Sugar and Spice group and the existing members were Gwen Owens, Cathy Carson and a girl named Irene (Cathaway). I told them what I’ve done so far, then I sang and left. A few days later, I got the call from Ed Sherman, who was her manager, and he told me I had the job. ” Gwen says what Juanita did not know. “We could see out of the building onto the street, and Ed told us when he saw Juanita crossing the street, if she can sing she has the job.” Juanita continues: “They liked the fact that I fit in with their concept of putting together a multicultural band. At that time, the races were clearly separated, there was the easy listing, which was very white. If you had a black singer, you were mostly sorted in the direction of soul. Producer Terry Woodford said, let’s try playing on more radio stations, we want to target a bigger audience. In the beginning, before this concept stood, Terry Woodford produced Gwen Owens. They wanted to open borders. So, they had Cathy and Latina Irene (Cathaway), whom I never met. 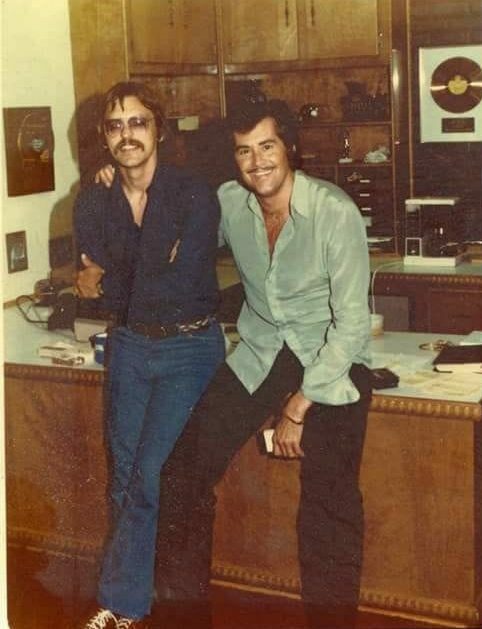 There had already been recordings in Muscle Shoals Alabama. Irene has never made it to this first session, there were problems, she did not want to go on tour. Therefore, they sought replacement, which they found in me. After the “ok”, I had to decide quickly whether I wanted to be with a group, or continue to visit auditions for my songwriting. And before I knew it, I stood at Muscle Shoes recording our first album. 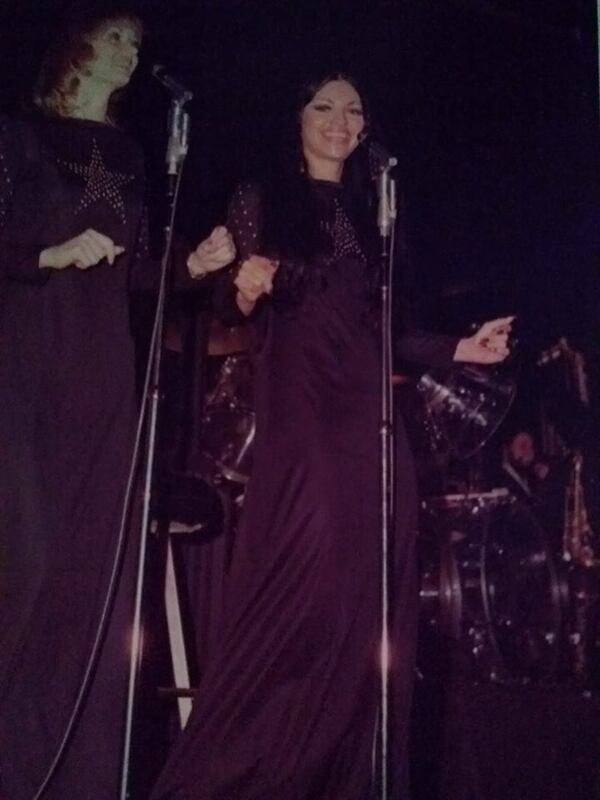 The song “Angel in your Arms” was already recorded only with the vocals of Gwen and Cathy. Gwen always sang the lead vocals, that was never my intention, I wanted to sing the backing vocals and maybe put a few of my own songs on the album. 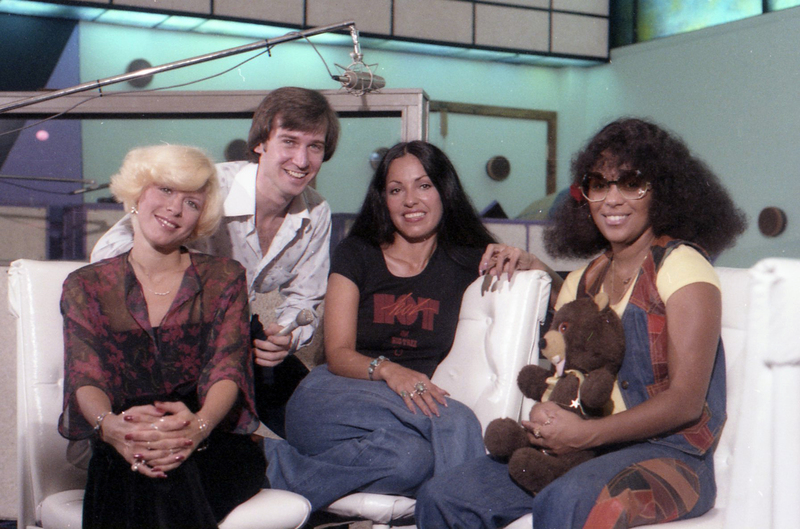 How was it in the studio at the time, how can we imagine a recording session, Juanita says, “We came together in the studio, the producers picked songs for us, and we discussed the material. Our influence in terms of selection and arrangements was very limited. If a selection pleased we got the demos on cassette along with the lyrics. We then took this to the hotel and learned the text. Gwen learned the lyrics and the melody, while Cathy and I took care of the backing vocal arrangements. The next day we got in the studio and Gwen recorded the lead vocal. That was a so-called Rough Vocal, Gwen who is a great singer and could “nail a song” on the first take, wanted to change something in the phrasing or arrangements because she was a perfectionist, Terry our producer did not want it. There were one or two healthy and professional discussions about the way the songs should sound. But all groups go through these phases. After the lead vocal was recorded, Cathy and I went into the booth and recorded our backing vocals. If they were not satisfied with our armaments, we went out and talked about it, as I said, there were constructive discussions and over time, our influence on the recording process grew. They trusted us that we knew what we were doing. When the master was finished, we went over to the next song. There was a lot of creative energy. And Gwen, I talked to her yesterday, said to me, you know, I’ve been in many projects after Hot, and even though we did not last long, we had a lot and very good output. And I never had that feeling and energy with another group again. After recording the album, we all had a meeting to decide which songs were suitable for a single release. And what can I say, “Angle in your arms” was not exactly our favorite. When we heard the song for the first time as a demo it was very country. But Gwen saw something in this song. Our producers were also the co-authors of the song and they put their own money into the promotion of the song. There was a radio station in Florida, they were playing our song and slowly something was developing. Big Tree, our label back then was a sub label of Atlantic, they had so many artists and projects that they eventually decided to close Big Tree. Which meant for us that we were without a label in the early 80s. They did not put much into the promotion of our second and third albums and I think we were just a victim of the record industry back then. 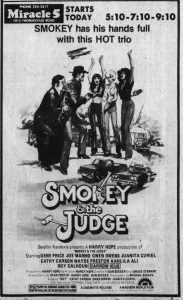 Even the movie “Running Hot” aka “Smokie and the Judge(1980)” did not change this fact. They have also been popular with jazz greats such as Stanley Clarke, and are also featured on his 1979 release of “I Wanna Play For You.” When asked why there was no further release after “Tonight / The nights are not enough (1982)” on the follow-up label “The Boardwalk Entertainment Co,” Juanita says, “You know, for me it became too political at some point, I wanted to focus more on songwriting. In addition, “The Boardwalk Entertainment Co” also belonged to another record label. These then eventually closed “The Boardwalk Entertainment Co”, so it was the same as at Big Tree. ” And then it was very difficult to keep the group together. There are songs that did not make it onto the album at that time, unfortunately HOT never had the opportunity to record them in a studio. There are also demos made for an album which should be released on “The Boardwalk Entertainment Co.” and Juanita now makes them available to fans after 35 years. So, you’re the first to hear these songs except the people who were there at the time. Who wants to get in touch with Juanita can do that via Facebook or her CDbaby page. A song from these demos was very much liked by us. “Could you love me” was written by Juanita and her roommate Karen and sung in Juanita’s living room.